If you are a CEO, Entrepreneur, Small Business Owner, or Motivated Individual you are at the right place. have created tools for networking, making major connections, exposure, collaborations, staying motivated, and specialty business training. that will increase your ability to prosper. you deserve. Grow your business using the Business Building Tools found here, and read our blog regularly. Monthly in-person networking affair with interesting attendees, speakers and vendors. Tools to master every aspect of your developing business. Expose your products, services, and/or events to a broader audience via vending, cable TV, and/or email ad partnership. Helping entrepreneurs get local and national exposure. Feature Your Business on Cable TV. 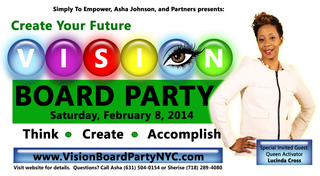 Saturday, February 8, 2014... Be a part of it. If you're looking to start a business look no further. We have 101 Top Home Businesses for you to consider starting. Also... a few structured business opportunities can be found where you earn while you learn. Look here for free and low cost products and services you need to enhance your personal or business life. Shop With Us! Find gifts, and other personal and business items in the Simply To Empower Online Store. "We Believe In Keeping Things Simple"